Brown spots and pitted, irregular tooth enamel, such as may be observed in a patient who experienced rickets. Enamel hypoplasia (also known as “Turner’s tooth”, or “Turner’s hypoplasia”) is a condition most commonly observed in permanent bicuspid teeth (secondary to infected primary molars) and permanent central incisors (secondary to injury to the primary incisors). Tooth enamel is over 90% mineral, which dissolves in an acidic environment, such as that found at the root tip of an inflamed or infected baby (primary) tooth. 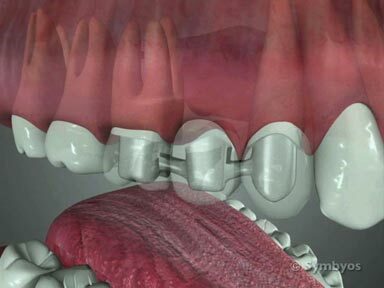 This situation may occur as a result of an injury to, or a large cavity in the primary tooth. When the permanent tooth comes into the mouth, it may have a roughened, irregular, or pitted area in the enamel, corresponding to the defect. A single white spot lesion on a permanent central incisor, corresponding to an injury of the primary tooth which was its predecessor. “Environmental” enamel hypoplasia is a related condition, in which the ameloblast cells that make tooth enamel were affected by an event such as fever, malnutrition, or hypocalcemia in the patient, while the teeth were forming. This may occur during fetal development or early childhood, and a dentist can estimate the timing of abnormal enamel formation by the area and teeth affected. When the front teeth and six-year molars are affected, the event most likely occurred in the first year of life. When the bicuspids and second molars are affected, the event likely occurred around age three. Another possible explanation for pitted, irregular tooth enamel is irregular Vitamin D metabolism, which prevents proper absorption of calcium. This can occur due to a nutritional deficiency of Vitamin D, an X-linked dominant disorder known as Vitamin D-resistant rickets. This condition prevents normal uptake of inorganic phosphate, which is required for normal dental (and skeletal) development. Enamel hypoplasia can also be caused by chronic kidney failure at the time of tooth development. How does the dentist diagnose Enamel Hypoplasia? 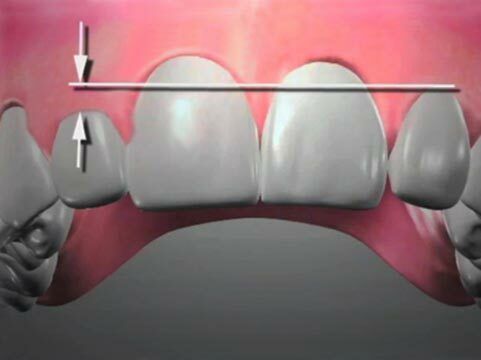 A careful visual examination of the teeth reveals pitting and irregular enamel. The patient, or their parents, may report a history of nutrition problems, rickets, or kidney failure. The more common scenario is enamel hypoplasia, and the patient will have had a history of large cavities or tooth injury. How is Enamel Hypoplasia treated? If a tooth is damaged to the point where it is at risk for caries (decay), or it is considered unesthetic by the patient, it is generally possible to bond tooth-colored filling material over the defect which matches the shade of the normal enamel. If the damage is more extensive, crowns, onlays, or veneers may be an option. Documenting the treatment will often require photographs, and dental X-rays (radiographs) will generally be exposed to rule out other problems with the teeth.